My students amazed me with their attention to detail with the Linear Programming art assignment. The objective of the assignment was to use linear programming to make an art piece, but I also wanted students to have the option to challenge themselves and be exposed to other types of functions. I introduced the students to sliders so that the students would have the structure and confidence to work with unfamiliar functions. Here are a couple of examples of their work. 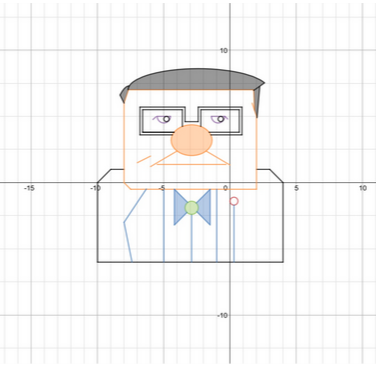 Lily wanted to work do a character with more than just linear lines and choose Carl Fredricksen from the movie Up. The emotion and facial expression she captured only using functions is true to the character. In Lilly’s reflection she discussed her use of different types of equations and use of sliders. 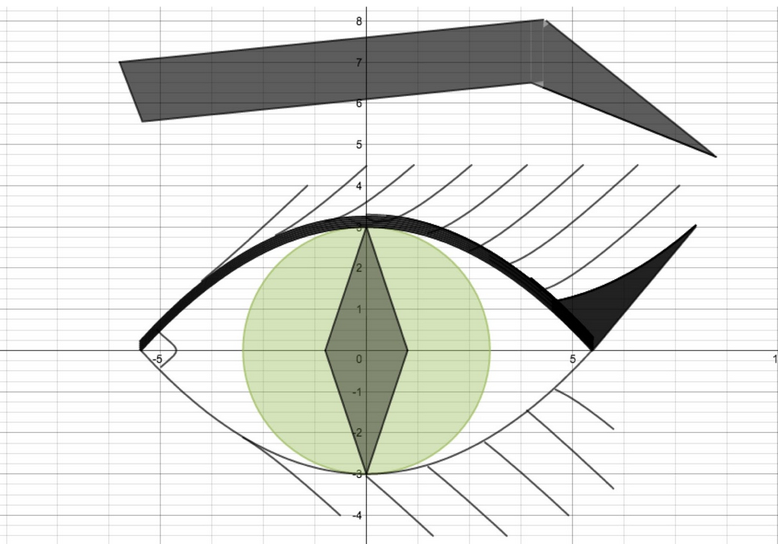 The assignment and the graphing tool desmos provided a situation for the students to take risks, explore different types of functions and be motivated to find equations that would best work in their art piece.